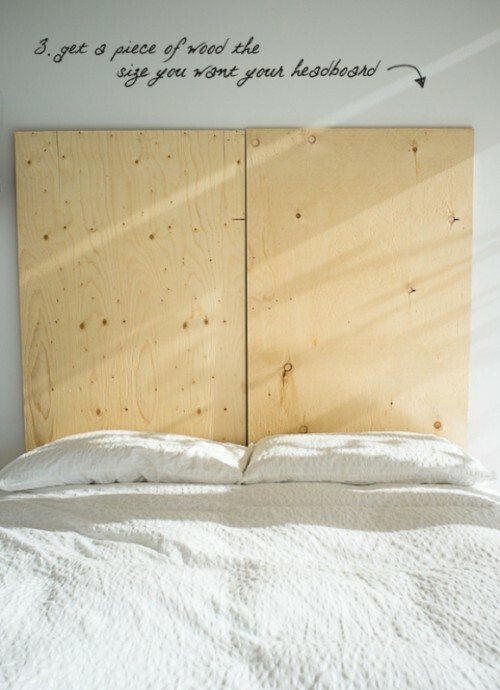 Headboard of the bed is also an accessory; it helps to create an atmosphere. And if you like to read before going to bed, this one is ideal for you. 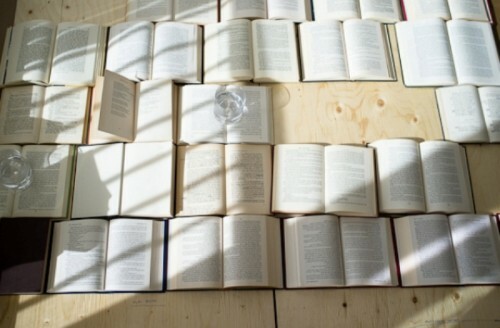 The supplies are many old books, a piece of wood, nails. 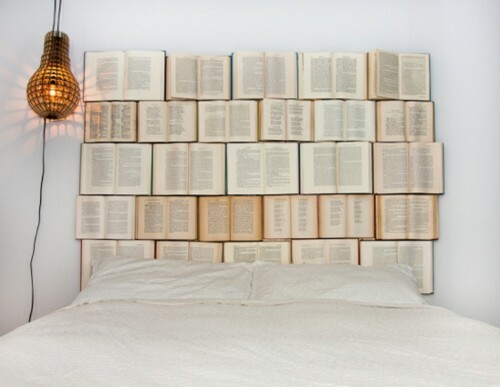 Take only the hardcover books of the same size; measure up the size you would like your headboard. 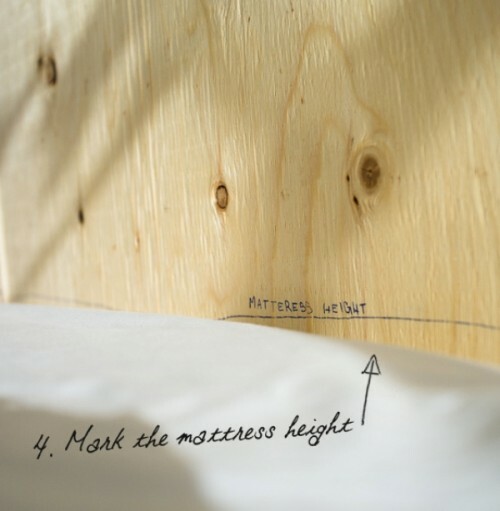 Mark the mattress height so that you know where on the boards the books should start. Put the books on the board like finishing a jigsaw puzzle and secure them using tiny nails leaving some pages loose. 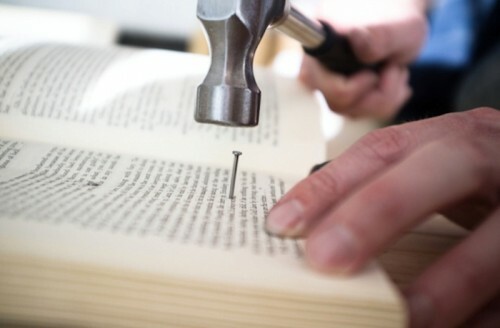 To create the illusion of how a book would look if it were just sitting open on a table stick the pages so a bump is created. 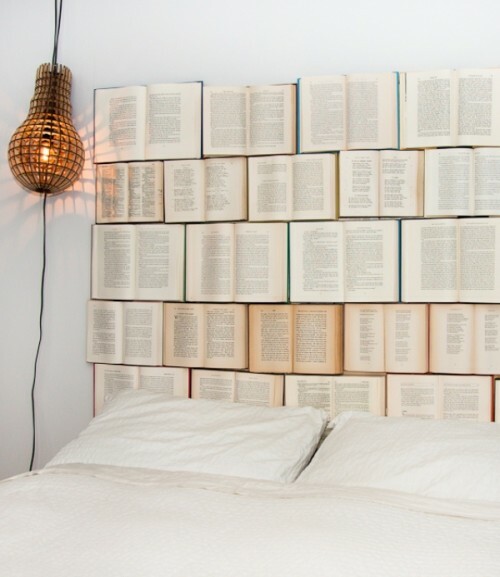 Put the headboard on its place and enjoy the view!